I had a few issues with the mod, the first being one of the boxes in the main menu (Bottom right) doesn't align with the one above. The second issue is the wallpaper selecrion on the side menu, the first few wallpapers cannot be selected. I did a fresh install of the original skin a couple of times, still getting the same. I have my games folder named "Games" and on my F partition, but when I use the "My Games" icon in the skin, it doesn't go to the folder and the coverat shows nothing. 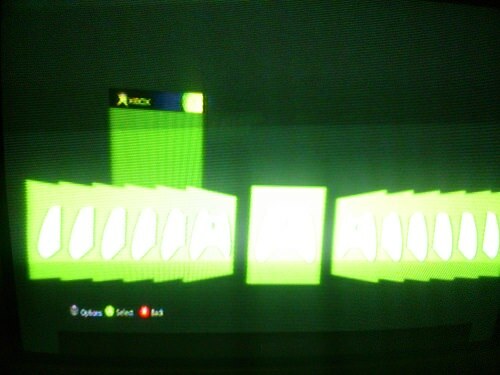 I have to back out, pick the folder, and select my game. Does anyone know where to edit the "My Games" icon to point it to the folder that I was supposed to put them into? Thanks for any help. The idea is very nice, however it doesn't work for me. I followed the instructions at the original "origins" thread and then the instructions overe here. And the options sideblade doesn't have any text. B A M P ! Herp prz! I have the same problem. Did you solve it? I cannot for the life of me decode your last. If not the shortcut 27 in the games tab now works? The shortcut not working was because of a simple xml coding error. Dom had an awesome start to a skin with origins but it has lots of bugs unfortunately. If I remember right it was a ! In the line of code that wasn't supposed to be there. It's been forever since I looked at it though.